We fully recognise the importance of maintaining and show casing your vehicle to the best it can be at all times. Whether that may be an exotic supercar, a cherished sports car, a prestige marque or your treasured daily driver, it will still receive the same amount of time and dedication as well as being subject to all of the same meticulous processes. Our pursuit for excellence and attention to detail ensures first class results with every commission undertaken. Paint Correction is a specialist technique which is carried out using a dual action machine polisher, an extensive range of professional polishes and polishing pads, and a paint depth gauge (to measure the thickness of the paintwork prior to polishing). It can take anywhere between 6-48 hours to complete. The paintwork of your vehicle can become damaged from poor washing techniques and, over time, through weathering. Swirl marks, light scratches, holograms, and embedded contaminants such as hard rain, insect splatter, and bird stains can all contribute to surface damage and leave the paintwork looking dull and jaded. At Detail Your Eyecandy we can repair this damage to create a spectacular finish, which leaves your vehicle looking better than new, and fully protected. View ServiceOur Surface Protection Detail is designed to improve the overall appearance and protection of your vehicle to leave a smooth and glossy finish. This is a meticulous detail where your vehicle receives a multi-stage wash and complete exterior decontamination. Embedded contaminants such as tar, iron and tree sap are totally removed. Protection is applied to the paintwork, alloy wheels, glass, plastics and tyres. Swissvax Shield Wax is included as the standard paintwork protection with this detail, however you may wish to upgrade to a more durable form of protection such as a Gtechniq or Gyeon ceramic coating. View ServiceOur Gloss Enhancement Detail will significantly improve the look of your vehicle’s paintwork leaving behind a stunning finish. This detail consists of the same cleansing and decontamination procedures as our Surface Protection Detail but with the addition of a a single stage machine polish. This will inject life back into the paintwork, increasing the gloss, depth and clarity of the finish. It will also remove very fine blemishes including light wash marring. Once complete you will notice a considerable improvement to your vehicle's paintwork. Swissvax Shield Wax is included as the standard paintwork protection with this detail, however you may wish to upgrade to a more durable form of protection such as a Gtechniq or Gyeon ceramic coating. View ServiceOur Light Paint Correction Detail has been designed to provide a vast improvement to the appearance of your vehicle. It enhances the gloss and clarity of the paintwork through two stages of machine polishing. The first stage will remove fine scratches and light swirl marks, all of which have a detrimental effect on the condition of the paintwork. The second stage uses a fine polish to further refine the paintwork increasing the levels of gloss. Swissvax Shield Wax is included as the standard paintwork protection with this detail, however you may wish to upgrade to a more durable form of protection such as a Gtechniq or Gyeon ceramic coating. View ServiceOur Paint Correction Detail includes three to five stages of machine polishing designed to remove heavier swirl marks, light to medium scratches, and other imperfections such as wash marring. As a result you will see added paintwork depth, clarity and spectacular levels of gloss. Up to 99% of the paintwork defects will be removed eliminating the need to have an expensive re-spray. Protection will then be applied ensuring that your vehicle maintains its impeccable finish. Swissvax Shield Wax is included as the standard paintwork protection with this detail, however you may wish to upgrade to a more durable form of protection such as a Gtechniq or Gyeon ceramic coating. View ServiceOur New Car Enhancement and Protection Detail has been specifically designed to ensure that your new purchase begins its life in the best possible way and is fully protected for the future. It consists of decontamination to all exterior surfaces followed by a single stage machine polish enhancing the gloss of the paintwork. If required, further localised machine polishing is carried out. Any defects, including light swirl marks and fine scratches incurred during transit and the pre delivery inspection will be removed from the paintwork. Swissvax Shield Wax is included as the standard paintwork protection with this detail, however you may wish to upgrade to a more durable form of protection such as a Gtechniq or Gyeon ceramic coating. View ServiceDetail Your Eyecandy is East Anglia's Accredited Detailer. Gtechniq offer some of the world's leading protective coatings for automotive surfaces including paintwork, glass, alloy wheels and interior surfaces. Their comprehensive range of products are scientifically proven to provide long lasting protection. The flagship coating, Gtechniq Crystal Serum Ultra is applied with a 9 year manufacturers guarantee and Gtechniq Crystal Serum Light with a 5 year manufacturers guarantee. 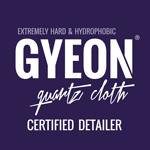 View ServiceGyeon Q² Mohs+ and Gyeon Q² DuraFlex are state of the art ultra hydrophobic quartz coating systems that simultaneously protect and enhance the appearance of automotive paint. All of these coatings are designed for professional use only and applied by certified Gyeon detailers such as ourselves. 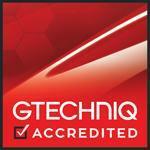 Each one is applied with a 5 year warranty offering the highest level of protection throughout that period. View ServiceDetail Your Eyecandy are East Anglia’s only Kamikaze Collection Certified Detailer. 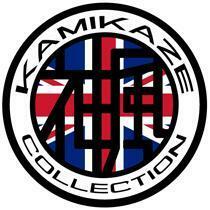 Kamikaze Collection is a revolutionary range of high-end boutique car care products designed and manufactured in Japan, the home of ceramic coatings. Combining state-of-the-art technology with traditional know-how it prides itself on delivering truly innovative and unique products without the typically associated hype. Please take a look at the amazing range of coatings. 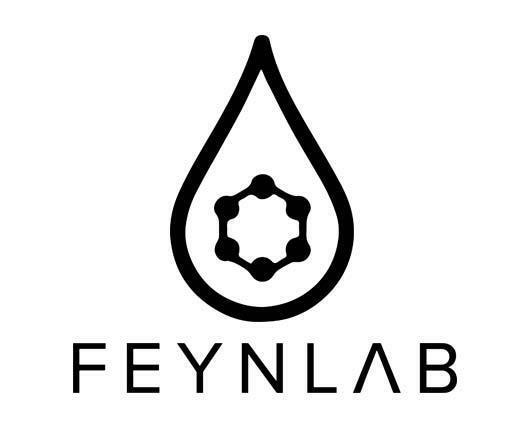 View ServiceDetail Your Eyecandy are very excited to announce that we are now a Feynlab Authorised Detailer after successfully completing the necessary product training. This allows us to offer the full range of Feynlab products to our customers which includes the exclusive professional range of self-healing nano coatings. These consist of Feynlab Ceramic Plus, Feynlab Heal Lite and Feynlab Heal Plus. Each coating has a manufacturers guarantee and this ranges from 2-7 years depending on the coating chosen. Feynlab Heal Lite and Feynlab Heal Plus offer the self healing performance as XPEL paint protection film but at a lower cost.